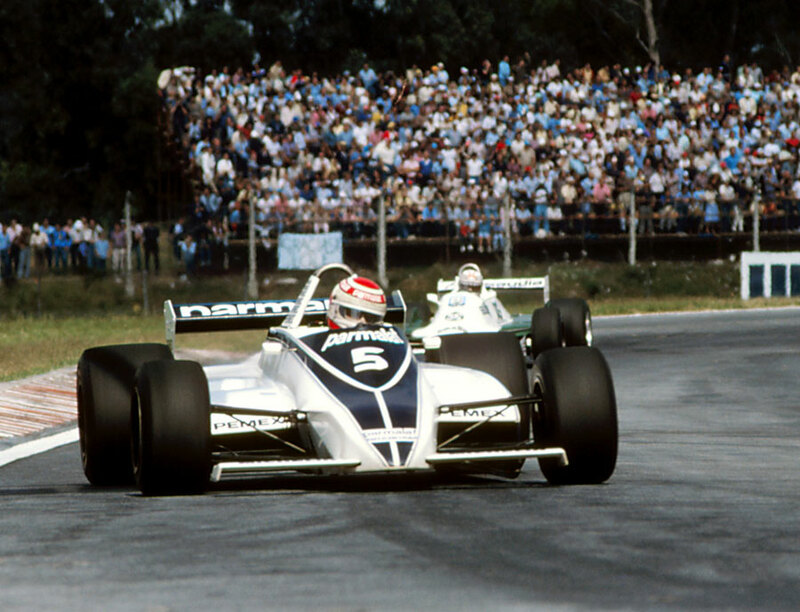 Williams' dominance of the first two rounds was ended by Nelson Piquet's victory in Buenos Aires, his success angering a highly partisan crowd who had come in the expectation that Carlos Reutemann would record a second successive win. At the start of race weekend, Alan Jones was the centre of attention and was pursued by Argentine press and fans aware of the politics in the Williams team. Jones wound up the mood by waving a pit board at the grandstands on which it said "JONES-REUT" but the race was a different matter. The Brabhams of Piquet and Hector Rebaque, the Mexican journeyman, were running with hydro-pneumatic suspension which effectively raised the cars when they pitted and were ride-height checked, and lowered them once on track to recreate the ground-effect era. It was a loophole exploited by Brabham's Gordon Murray and the rest would soon have to follow. Jones led from the start with a point to prove but he lasted but three corners ahead when Piquet came storming past him. "It was like I was parked," said Jones later. Reutemann was third but heartened his fans when he passed Jones who had an engine problem. The Cosworth-DFV had lost 500 rpm and would get worse until the engine expired. As Piquet led, Reutemann was caught and passed by Rebaque which underlined how much of an advantage the Brabhams had. Reutemann retook second when Rebaque's distributor rotor arm broke but it was a fortunate result behind Piquet with Alain Prost a distant third for Renault, the car that on paper looked ideally suited to the power circuit at Buenos Aires. Brabham had a nervous wait after the race as a string of teams protested the T49 breached rules with its controversial hydraulic suspension, but the win stood. Lotus, however, again found its Lotus 88 banned and to add insult to injury, the FIA's pompous president, Jean-Marie Balestre, fined Colin Chapman $100,000 for making disparaging comments about his organisation. A dispirited Chapman admitted he was at a loss what to do. "I will have to consider whether to pull out of motor racing," he said. "I haven't got any cars and I don't know about sponsorship." Local fans had some solace in the fact Reutemann ended the weekend leading the drivers' championship by three points from Jones.